Delish recipes from an evening with friends, simple ingredients cooked on an open fire and a shoreline setting that is elixir for the soul. 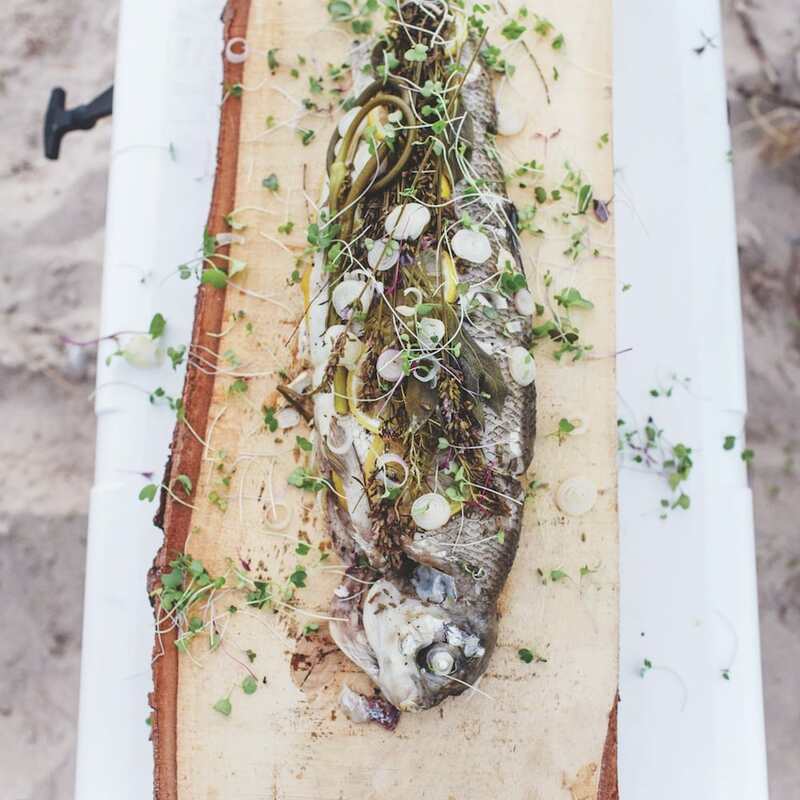 Enjoy this whitefish recipe, and read “Esch Road Beach Dinner” as featured in Traverse, Northern Michigan’s Magazine. Salt and pepper the inside of the body cavity. Spread a layer of lemon rounds inside the fish. Rub the outside of the fish all over with olive oil or butter. Using jute or butchers twine, tie all the herb sprigs to the outside of the fish. Drizzle any remaining oil or butter over the fish. Clean and rub the rack with oil. Place the fish on the grill rack over a medium-hot spot. Cook on one side 4 to 6 minutes depending on size. Using 2 spatulas or tongs, gently flip the fish over and cook another 4 to 6 minutes more. The fish is done when a meat thermometer reads 145° Fahrenheit in the thickest part of the fish or when the flesh is white and can be flaked easily with a fork. A thermometer works best since you can poke through the foil.